MOSCOW, January 27. /TASS/. The possibility to form a united delegation of various Syrian opposition groups for participating in the Geneva talks is not under consideration yet, representative of the "Cairo group" of the Syrian opposition Jihan Maqdissi told TASS on Friday. 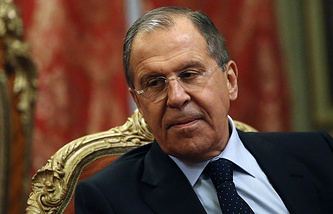 "We had a consultation today, a meeting with Mr. Lavrov (Russia’s Foreign Minister). Now we will meet with our other friends and discuss the situation. However, this (a united delegation) is not on the agenda yet," he said. Head of the so-called "Hmeimim group" Ilian Masaad responded in the negative when asked if the opposition factions currently on a visit to Moscow maintained any contacts with their counterparts in Istanbul and Riyadh. "Those who employ violence cannot be represented. Russia tried to gather everybody together but they (members of the High Negotiations Committee or the "Riyadh group") refused to come. They don’t want to sit at the negotiating table with the others," Masaad stressed. However, according to Qadri Jamil, leader of the Popular Front for Change and Liberation and member of the so-called "Moscow group", participants of the meeting with Lavrov hope that a united delegation for the Geneva talks will be formed. 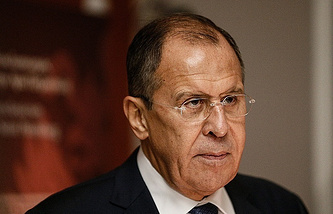 Maqdissi confirmed the Syrian opposition has received Moscow’s proposals concerning the future Syrian constitution. "This is not a ready-to-use document, it’s just some ideas that could form the basis of the constitution," he added. The meeting’s other participants, including representatives of the so-called "Moscow group" Qadri Jamil and the "Hmeimim group" Ilian Masaad also confirmed that it was not a ready-made draft constitution but some proposals concerning constitution-making. As reported earlier, Russia handed its proposals on the future Syrian constitution over to representative of the Syrian armed opposition who took part in the Astana meeting on January 23-24.